Since The Iron Ring debuted and especially since attending the Writers of the Future Workshop and receiving my award, I’ve been running into more and more people who are reading or have read my book. Not “want to read,” not “been meaning to read,” not even “have it on my Kindle,” but actually in the process of reading my novel. Like, if I were to quiz them on the main character’s name, they’d actually know what I’m talking about. What…seriously? Are you screwing with me, or what? I didn’t introduce myself as “a writer” or “an author” until a year or two ago, when I figured that I had enough publications to make such a claim plausible to an outsider. The immediate follow-up question to the statement “I’m a writer” is “really? What have you written?” I always felt that, if the response was “fantasy short stories nobody has bought and exist in a shoebox beneath my desk,” it would be embarrassing for both of us. I became used to the idea that my writing was a private and solitary enterprise that I was embarking upon more-or-less alone save for the loving support and understanding of my wife, who is probably the only person I discuss my daily writing problems and anxieties with. Beyond the two of us, I was just an English Professor at a university that doesn’t even have an English major who, in his spare time, wrote stories about spaceships and goblins that nobody really read. I need that voice to shut the hell up. This blog post is me putting that stupid voice on notice. In my classes, I sometimes give my students a little primer on public speaking. One of the key criteria, I tell them, is confidence. You need to believe in what you say (or at least look like you do) if you are going to expect other people to believe it, too. I need to take my own goddamned advice. When people come up to me and say “Congratulations on your book!” I need to stop shuffling and “aw-shucks-ing” my way through the conversation. Sure, I’m not exactly storming the bestsellers’ lists (well…not yet), but I’m an author, dammit, and people are reading my work. This shouldn’t be a shock or surprise – I’ve worked for this for a long time, and now I’m actually doing it. I need to own my own success and take credit for what I’ve done. This, it turns out, is harder than it sounds. It must be figured out, though – and I’m guessing I’m not the only person trying to do so – because we can’t stay talking to ourselves in our basements forever. Sooner or later, we need to go into the world and be proud of what we’ve wrought, even if it’s only the beginning of a much greater work. I will be giving a talk on world-building in fantasy literature at the Adams Street branch of the Boston Public Library this Monday, 5/18, at 6:30pm. The event is free and refreshments will be served. 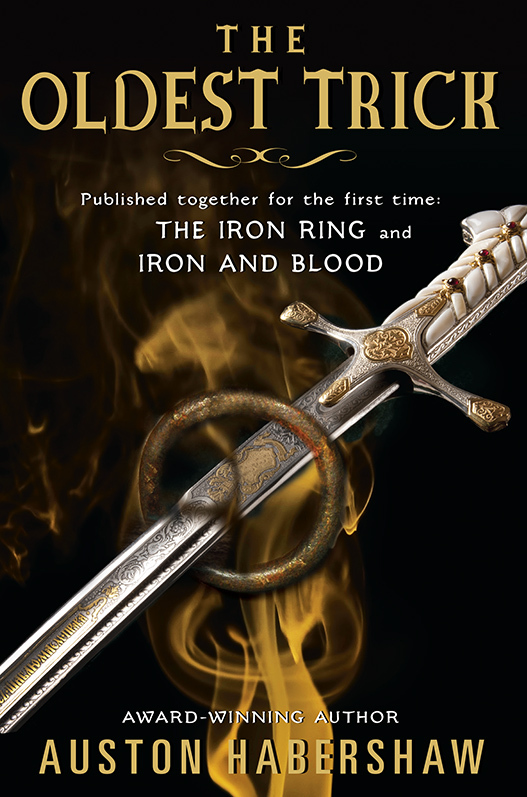 I will also be doing a reading from The Iron Ring. I will be doing another book-signing of the Writers of the Future Volume 31 anthology on May 30th from 2-4pm at the Prudential Center Barnes and Nobel in Boston. 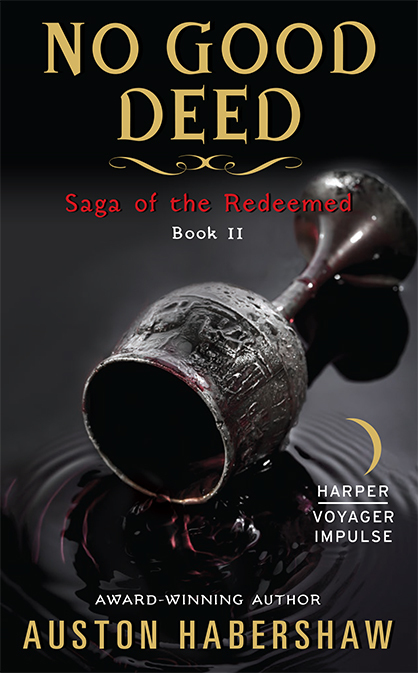 Pre-orders for Blood and Iron, part 2 of the Saga of the Redeemed, are still for sale everywhere e-books are sold! Get yours today! I’m still holding my contest for the Best One-Liner to win a free copy of The Iron Ring. Contest ends Monday, so enter now! Posted on May 15, 2015, in Critiques, Theories, and Random Thoughts and tagged confidence, success, The Iron Ring, Writers of the Future, writing. Bookmark the permalink. 3 Comments. Normally at this point I tell the author that they need to hear James Artemis Owens’s Eggs Benedict talk. But you already know the lesson of the talk: have confidence in your work (and show it! ), or no one else will. When you were a brand new professor standing in front of a class for the first time, you probably had similar reservations. “Why am I up here? Why should these kids listen to me?” You got over that, and it’s time to get over this. Your wife believes in you. I believe in you. All of WotF31 believes in you. Dave and Tim and Kevin and Mike and Nancy and Eric and Scott and the rest of the judges believe in you. YOU believe in you, so show it. The funny thing, Martin, is that I *didn’t* have that feeling when I was a brand new professor. Not at all. That’s the weird thing for me: I have *rarely* lacked confidence in the things I have done. I wouldn’t even call this “lack of confidence” exactly–more like incredulity at success. I have hard time believing (1) that I have succeeded (in the small fashion that I have) and (2) that anyone else knows or cares. For me, one of the meta-lessons of the workshop and other workshops is that these people I read, they’re just like me. Between Author and Reader, there’s no wall that we have to breach. They’re just points on a continuum. Some people are happy to sit at the point marked Reader (and bless them, we need them), but we’ve chosen to walk along the continuum. We may get surprised by where we stand now (you should’ve seen my face when I got the email from Gardner! ), but if we look back, we can see that steps that led us here. We earned those steps.